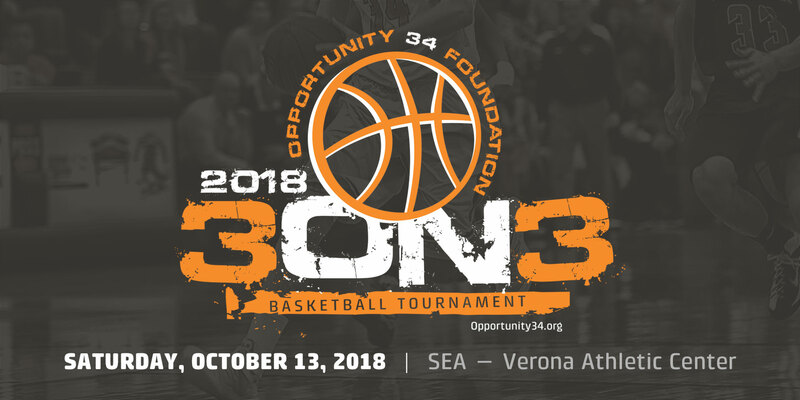 The Opportunity 34 Foundation 3-on-3 Basketball Tournament is growing… to include adult divisions for men’s, women’s, and co-ed teams. Learn more about the tournament and register by clicking here. 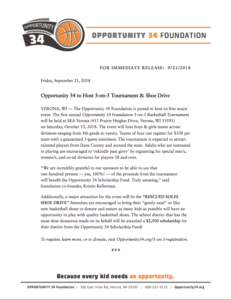 And, last week the Foundation issued an official press release for the 3-on-3 as well as the event’s “Rescued Soles” basketball shoe drive. Please click below to view or download the press release.